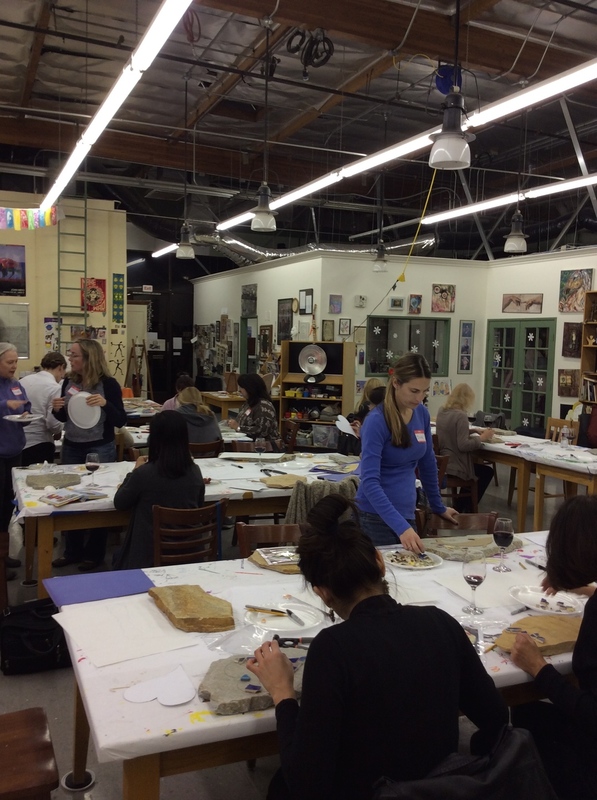 Art Trek is proud to present our creative Cabernet, Canvas & Color series of art workshops. These adult workshops are available throughout the year at our studio space in Newbury Park, CA. Our impressive list of staff and guest teachers impart technical skills and creative technique to guide you through your project. Join us for a creative evening of art, food, friends, and fun! Art Trek supplies all materials for the workshop. Enjoy light appetizers and a glass of red or white wine while you learn the inspirational skills used to create a work of art. At the end of the night you will leave with a unique masterpiece that is all your own. *must be 21 years or older to attend this series of workshops. Have a group of 10 or more? Call or email us to set up your own day and time for a workshop. *Private Workshops may vary in scheduling and prices.